Located 60km SW of Kalgoorlie. 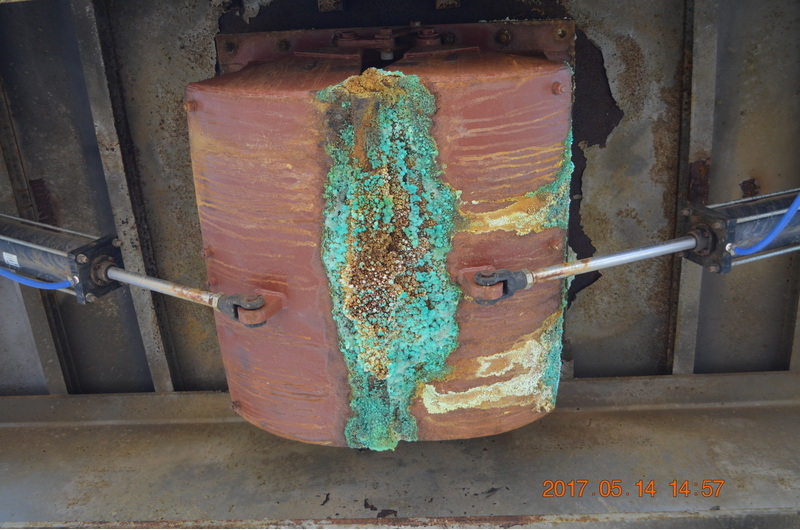 Located 26 kilometres south of Coolgardie. This locality including the mineral species listed relates the the Nepean Nickel Mine. There was however a nearby locality called the Nepean Mine relating to gold which will be covered first. This was a historic gold mine operating only between 1897 to 1899, its short life a consequence of low gold grades. The first mine manager was L.C. Wymond across 1897, but he died of pneumonia in April 1898 at only 34 years of age. Trial crushing from the new mine commenced in June 1898 with indifferent results. 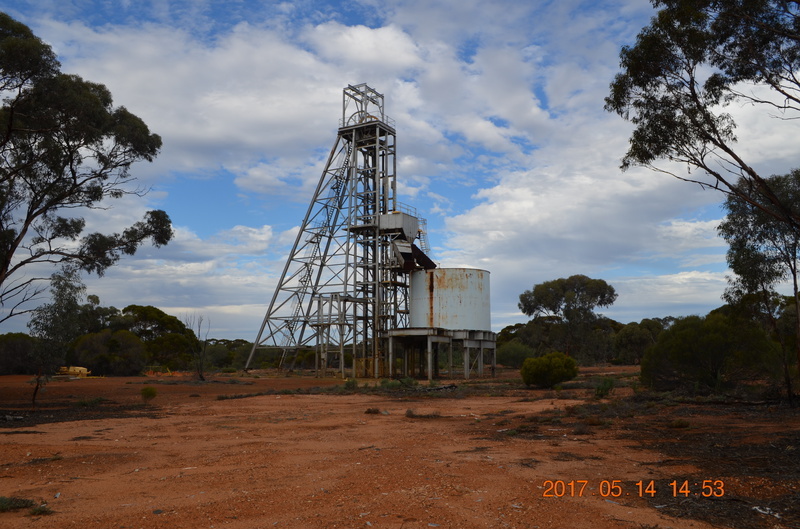 The mine was owned by Nepean (Western Australian) Gold Mines Limited who spent 12 000 pounds developing the mine, but by March 1899 it was reported the project had been abandoned by shareholders. The Nepean nickel deposit was discovered from drilling by Metals Exploration in March 1968, and a mine started at the site in 1970, owned by Metals Exploration NL and Freeport of Australia as a joint venture. 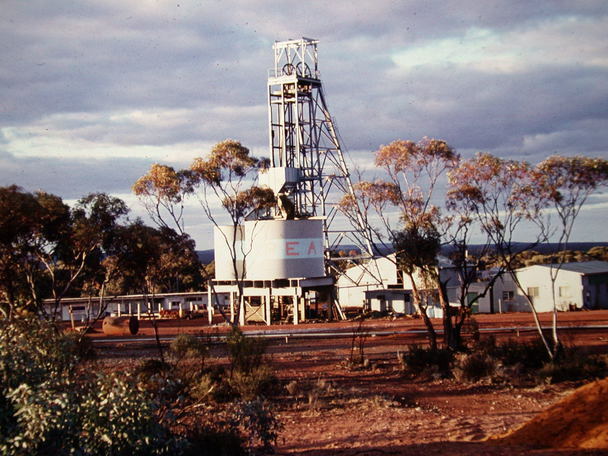 It was the second nickel mine in Australia after Windarra near Laverton in Western Australia. Till the mine closed in 1987, it produced 32 303 tonnes of nickel at an average grade of 2.99% Ni. The lease is now owned by Focus Minerals which holds most of the gold mines north of here to Coolgardie. The ore bodies are two distinct but closely overlapping tabular ore zones dipping steeply at 80 degrees to the west, occupying contacts between serpentinite and metabasic rocks over a strike length of 670 metres and 340 metres. The mineralisation occurs to 476 metres deep and averages 1.5 metres thick. accessory molybdenite. Garnetiferous aplites are less common. Some folding of the amphobolites and metasedimentary rocks has occurred. Two warping events have infuenced the ore bodies and the sulphides loads relocated into favourable structures. There is a north-east trending sub-vertical set of faults and fractures which parrallels the strike of the serpentinite, and post dates the pegmatites. The ore contact with the serpentinite is marked by shears which has influenced the shape of the ore body. Small areas on the ore footwall show diopside-calcite-clinozoisite-garnet and are related to nearly diopside veinlets, common in the amphibolite. The primary mineralisation is 60% pentlandite, 20% pyrite, 18% pyrrhotite and the rest is chalcopyrite, cubanite, mackinawite and valerite. Cobalt and platinum is not significant. The ore zone is variable but a typical example would be at the base 0.75 metres of massive ore with 60% sulphides with serpentine or olivine matrix and accessory magnetite. Then a 0.45 metres zone of disseminated ore with 10-40% sulphides and abundant magnetite. Then a 0.3 metres zone of 5% disseminated sulphides in serpentinite with abundant magnetite. The reaction zone between the orebodies and the metasedimentary rocks is up to 0.6 metres of chlorite, phlogopite and clinozoisite alteration of plagioclase sometimes proceeding to prehnite. The supergene zone is 56-93 metres below the surface and is dominated by violarite in two different textures depending if it replaced pentlandite or pyrrhotite. Pyrite and marcasite are also produced in the supergene zone. Hudson, D. R. (1973). Genesis of Archaean ultramafic-associated nickel-iron sulphides at Nepean, Western Australia. In Papers, Australasian Inst. Min. Metall., Western Australia Conf., Perth, Western Australia (pp. 99-109).